As virtual environments become more commonly implemented, virtual server performance bottlenecks are becoming one of the most common data storage challenges. How can ensure your data storage challenges are solved without throwing off another? 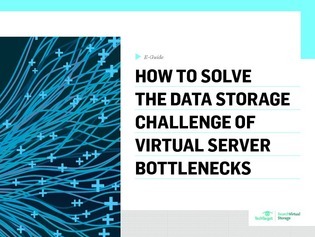 In this expert guide, explore how to track down and identify data storage bottlenecks and performance-robbing configuration issues in virtual environments. Read on and you will also discover what tools to use to solve these bottlenecks and how to match apps to specific storage environments.